Can Your Simple Skin Rash Be Atopic Dermatitis? It Is Just A Click Away! Have you ever suffered from a red, itchy, bumpy skin? Yes, you might have, since most of us happen to experience this discomfort and often end up brushing it aside thinking that it is just a rash. In the current fast-paced life, nobody caters to his or her health until it is an emergency. And, your frequently ignored niggling skin problem just might not be just a rash but atopic dermatitis. A rash may be localized in one part of the body, or it may affect all or widespread areas of your skin. Rashes may cause the skin to change color, itch, become warm, bumpy, chapped, dry, cracked or blistered, swell, and may be painful. Food allergies experienced by a few people on having eggs, milk, peanuts, fish, shellfish, wheat, soy etc. Insect stings such as strings of bees or wasps. Nickel in your jewelry could give you a troubling rash. Fungal infection, such as ringworm. An embarrassing itch- wrong place, wrong time. Reaction to commonly used vaccinations, such as the measles, mumps, and Rubella (MMR) vaccine, or a Flu shot i.e. the influenza vaccination. Exposure to the sun (sunburn) or heat can make some of us suffer from irritating skin rash. Irritation caused by abrasives in clothing rubbing the skin. Poor personal hygiene can run anyone into a skin problem anytime. Repeated scratching on a particular spot. Cosmetics which are used in galore can irritate your skin, enough to give you tears. The differentiation between a rash & atopic dermatitis can be made on certain grounds, as the latter is a chronic skin condition with a genetic link & having phases of relapse & remission. Atopic Dermatitis (AD), is a common chronic or recurrent inflammatory skin disease and affects 15%-20% of children and 1%-3% of adults worldwide. Atopic dermatitis is a chronic inflammation of the skin. ‘Atopic’ refers to diseases that are hereditary, tends to run in families having a genetic link like asthma & Hay fever. The word “Dermatitis” means inflammation of the skin. In atopic dermatitis, the skin becomes extremely itchy and inflamed, causing redness, swelling, cracking, weeping, crusting, and scaling. Atopic dermatitis most often affects infants and young children, but it can continue into adulthood or show up later in life. In most cases, there are periods of time called relapses, exacerbation or flares when the disease is worse, that are followed by periods called remissions, when the skin improves or clears up entirely. Many children with atopic dermatitis enter into a permanent remission of the disease when they get older, although their skin often remains dry and easily irritated. Environmental factors are also responsible for triggering the symptoms of atopic dermatitis at any time in certain individuals, who happen to have inherited the atopic disease trait. Homeopathy works wonders in controlling the Atopy and offers excellent results in the cases where the popular conventional treatment is not that effective. Graphites, Natrum Mur, Sepia, Mezereum, Petroleum, Lycopodium, Rhus Tox, Sulphur are some effective homeopathic medicines for relieving the atopic condition. However, you need to seek homeopathy treatment under the guidance of an expert and experienced homeopathic practitioner. 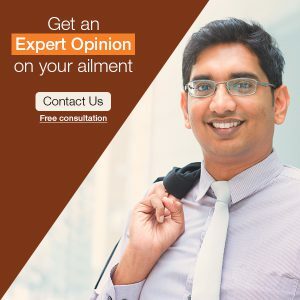 So, if you happen to suffer from the discomfort of atopic dermatitis any time, count on homeopathy by consulting an expert, experienced homeopath.